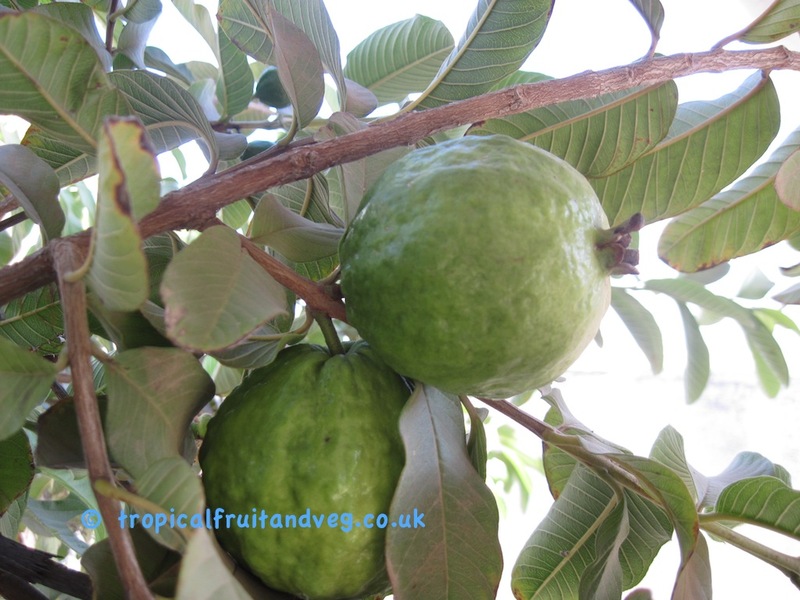 Guavas are evergreen trees that grow to over 25 ft with spreading branches although unlikely to grow to over 10 feet in the UK climate. The bark is smooth, mottled green or reddish brown and peels off in thin flakes to reveal the attractive 'bony' aspect of its trunk. The plant branches close to the ground and often produces suckers from roots near the base of the trunk. 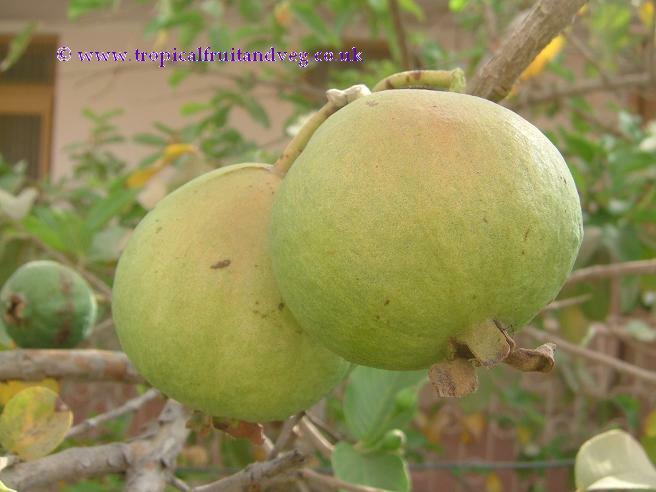 The guava thrives in both humid and dry climates. It can survive only a few degrees of frost. 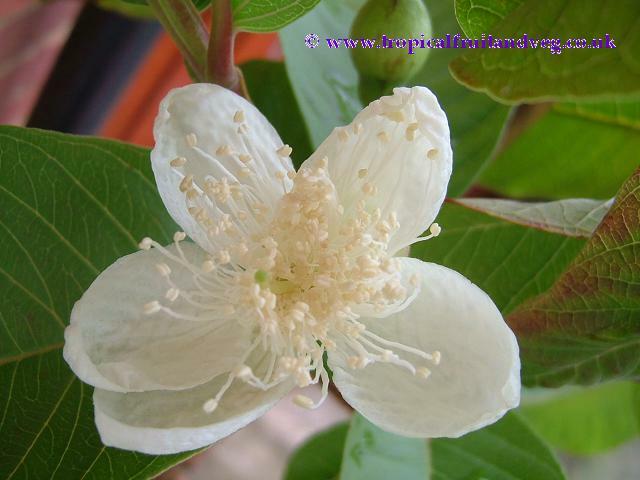 Older trees, killed to the ground, have sent up new shoots which fruited 2 years later. 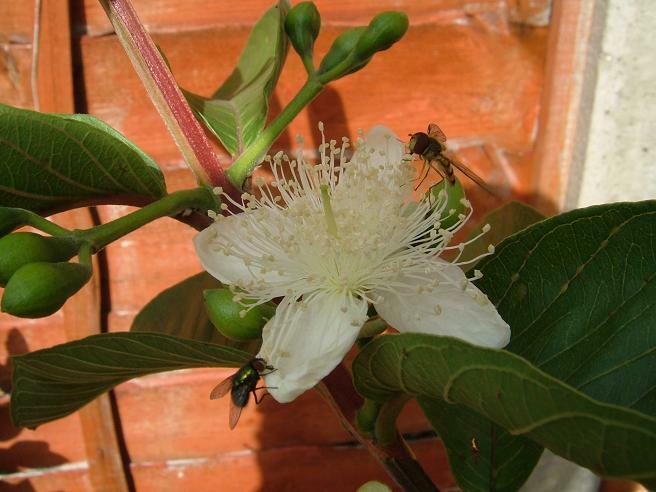 The guava requires an annual rainfall between 1,000-2,000 mm and will bear more heavily in areas with a distinct winter season than in the deep tropics. 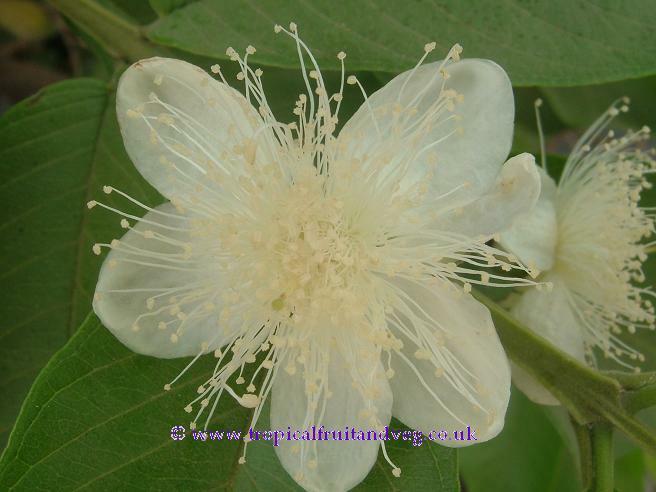 Guava does equally well on heavy clay, marl, light sand, gravel bars near streams, or on limestone; and tolerating a pH range from 4.5 to 9.4. It is also salt-resistant. 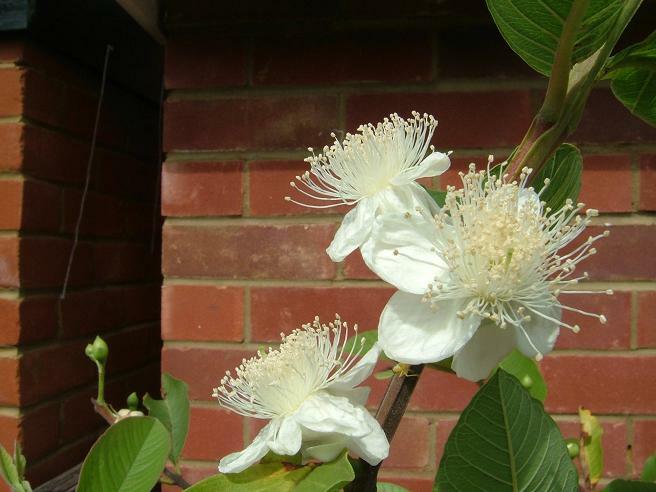 Good drainage is recommended but guavas are seen growing spontaneously on land with a high water table�too wet for most other fruit trees.